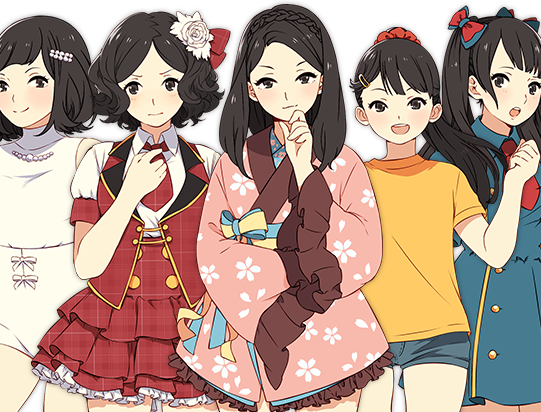 A Kickstarter campaign for Idol Manager launched on the 28th, seeking funding to create and release an indie simulation game heavily inspired by Japanese idol culture from a small American indie developer. The project was seeking a humble $5,000 to get it over the line. Within four hours it had hit its goal and now, just one day later, it has doubled its target. Despite what it might look like, this simulator actually looks like it'll have teeth. Promising to be narrative-driven, you'll need to manage scandals, work out training regimes, promote your idols heavily to maintain their fanbase, make sure they don't become too physically exhausted and mentally fatigued, and run the management business so it's profitable. A bit issue in the Japanese idol scene is how exploitative it all feels, so it's going to be interesting to see just how hard this game drives that theme home itself, but the promise of a narrative focus gives me plenty of hope. It looks like the game is already deep in development, and the development team is really only looking to Kickstarter to fund additional features and further deepen the pool of content in the game. With a release date expected for December 2018, it's not even that far away. Sadly, this game's only set for a PC release, and it doesn't look like console ports are even on the cards as stretch goals, but if this project turns out to be successful enough, you just never know. Anyhow, have a look at the Kickstarter page, and if it seems interesting to you, consider backing it! I know a lot of people have soured on Kickstarter with projects not delivering on their promises, but that's part of the joy of this - sometimes you do end up uncovering a winner. And this one really does look like a winner.